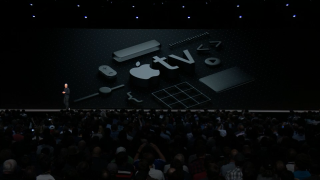 After nearly four years on the market, Apple's original set-top box, the Apple TV, is finally rebranding as Apple TV HD. With a maximum streaming resolution of 1080p – or 'Full HD' – Apple TV lacks the 4K capabilities of its 2017 upgrade, the Apple TV 4K. So seeing a formal distinction in the former's name should only make choosing between the two simpler. The addition of two letters may not seem like much, but the Apple TV HD has had a 4K-ready cousin for the past two years now. Introducing the new name is a big win for Apple customers seeking some clarity, especially as Apple gears up to expand the Apple TV app in the coming months. Apple is a brand that lives on the elegance and simplicity of its hardware ranges, and is usually careful not to overcomplicate any specific product names – even if the recent iPhone XS and iPhone XR models are certainly an exception to that rule. After Apple's jam-packed ShowTime event in March, we now have an expanded Apple TV app available on a range of rival smart TVs and streaming devices – with an Apple TV+ streaming service to rival Netflix, as well as an Apple TV Channels subscription option to rival Amazon Prime Video Channels. Literally anything to help us distinguish between these terms is a gift at this point. Apple TV Plus vs Netflix: could Apple eclipse its biggest rival?